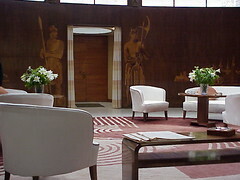 This is the Entrance Hall at Eltham Palace, the 1930s Art Deco home of Stephen and Virginia Courtauld built next to the remaind of a medieval palace. 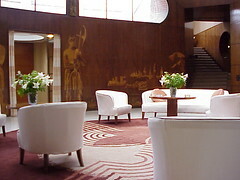 The room was design by Swedish architect Rolf Engströmer and is bathed in light from a large concrete and glass dome. 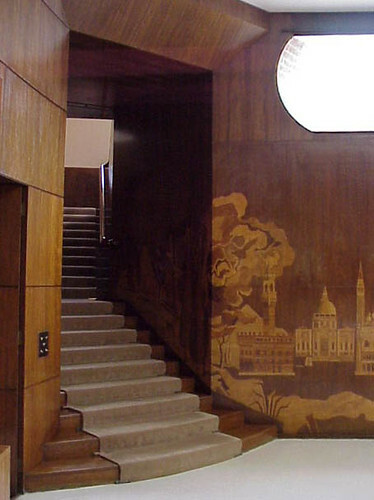 The walls are lined with blackbean veneer (from Australia) and feature figures of a Viking and a Roman soldier as well as some of the Courtauld's favourite buildings. 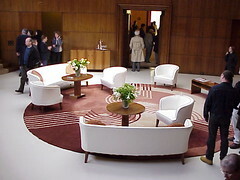 The large circular carpet was commissioned from designer Marion Dorn. The original is now in the V&A Museum and the one in the house is a hand knotted replica. Staircases lead to the bedrooms on the upper levels and doorways lead to the rooms on the ground floor including the extrodinary Dining Room. 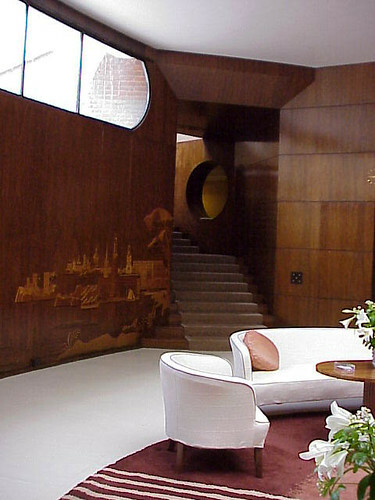 As an entrance hall, the room provides a stunning welcome to a stunning house. And it is large space, ideally suited as a sitting room which is how the Courtaulds used it. I've seen this room pop up in various TV shows and movies. 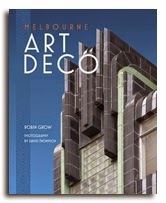 If you pay particular attention during the scenes in Delysia's penthouse apartment in Miss Pettigrew Lives for a Day you'll recognise where they got some of the inspiration for the set. What will it cost me then? 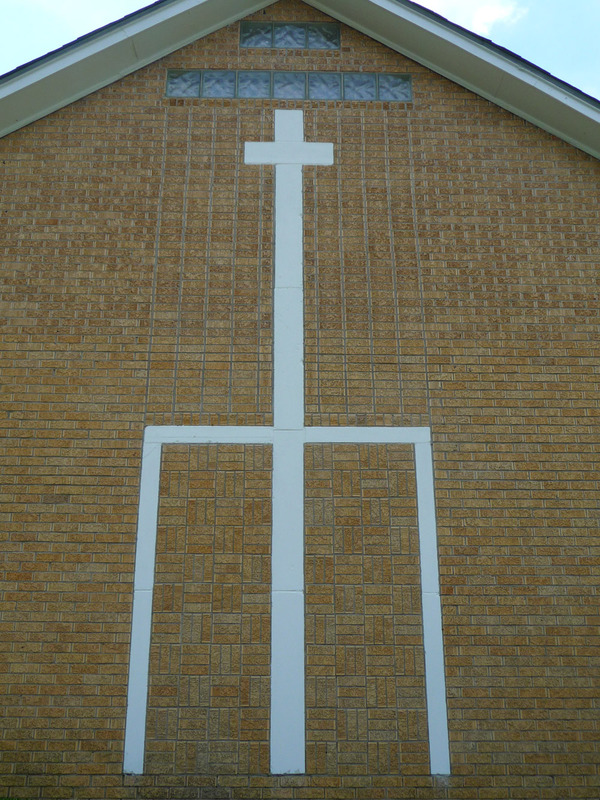 WV indicates lmilldolf.